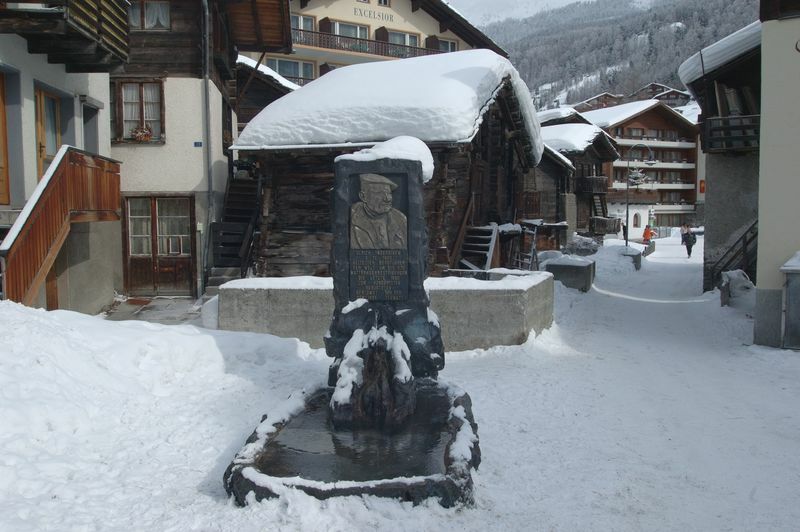 The Inderbinen fountain was erected to celebrate the 100th birthday of the mountain guide Ulrich Inderbinen. The water is deliciously refreshing; the wooden bench alongside invites visitors to reflect on the life and achievements of this legendary Zermatt resident. Ulrich Inderbinen was born in Zermatt in 1900. Throughout his life he never owned a telephone, a bike or even a car. He climbed the Matterhorn for the first time at the age of 21 with his younger sister. When he was 25 he qualified as a mountain guide, and accompanied visitors on climbs in the Zermatt mountains until the Second World War. Hostilities led to a collapse in the number of visitors coming to Zermatt: tough days for local people, including Ulrich Inderbinen. It was not until the 1960s that he was able to resume escorting guests up the Matterhorn. In all, he climbed the Matterhorn 371 times. As part of the 125th anniversary celebrations of the first ascent of the Matterhorn in 1990, Swiss television broadcast a major programme on the Matterhorn. 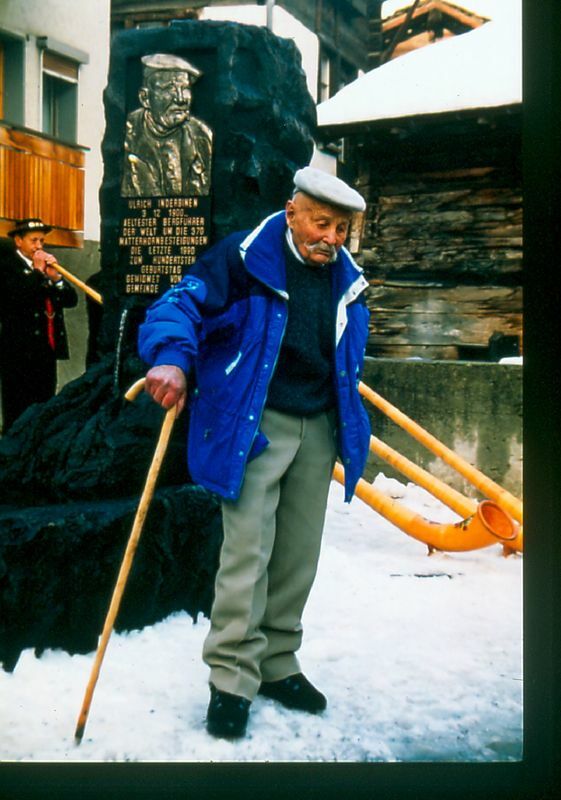 It featured Ulrich Inderbinen, in his 90th year, standing on the summit of the Matterhorn for the final time. He continued working as a mountain guide, but suffered an injury on the Breithorn and had to give up his vocation at the age of 96. The charismatic climber remained simple and modest throughout his life. Until his very last ascents, he always carried a hemp rope for the safety of his clients. His slow but steady pace was legendary. Ulrich Inderbinen died on 14 June 2004 at the age of 104. “Ulrich Inderbinen: as old as the century”, by Heidi Lanz/Liliane De Meester, published by Rotten Verlag, CH-3930 Visp, 1997. Available in English, German, French.